What Kind of GPS Is Used for Running? While GPS units are great for giving you turn-by-turn directions while traveling by car, that’s only one of the ways that GPS can make your life better. Having a GPS unit with you while running can help you get the maximum results out of your run while keeping you from overexerting yourself and potentially doing damage to your body instead of getting in better shape. The problem with most GPS units is that they are at least the size of a cell phone which makes it hard to carry and look at while running. Digging into a pocket while running just isn’t practical (especially if you don’t have one). The remedy; a GPS watch. GPS watches look like normal digital watches but are enhanced with a GPS transmitter/receiver. This allows them to track distance traveled, record the exact route taken, give real-time running speeds and be used as a digital running diary. These are just the basics, some models come with advanced measuring tools that track elevations, lap times and heart rate to name a few. There are also units that can be programmed to alert the runner when there is a deviation in the speed, distance or pace that has been programmed. While all of this data is fantastic and can help you to streamline your runs to create the most effective fitness plan for yourself there are some things that you have to remember when you first start using the GPS watch. Data is great if you can look at it objectively. The watch will tell you the truth about your speed, lap times, distance and everything else so don’t be discouraged when your 8:15 lap time actually ends up being 9:20. This is why you got the watch, to get the objective data and adjust your training to get to where you want to be. The number one mistake that new GPS watch users make is to immediately start looking at the watch during a run. This can lead to running too hard and exhausting yourself, potentially resulting in injury. This is exactly what you were trying to avoid by purchasing the watch. My advice, don’t look at the watch for the first two weeks you have it. Run, let it collect the data, and analyze your current running style. This will give you an objective evaluation of your current status. Once you have your data, tweak your course, but only a little at a time. Don’t try to decrease your lap time by more than a few seconds a run. Set an alarm to remind you if you’re a falling off your desired pace. This small incremental adjustment can have you shaving time off your runs in a way that is easy to maintain. Sure you might be able to make a huge increase in one day but your body won’t be able to keep it up over the long haul. The small changes you make while running with GPS help you increase your stamina and efficiency. If you run on your own, we’ve already discussed some of the things you shouldn’t do with your watch. Don’t overexert yourself just to keep pace with your digital trainer. Another thing to avoid is completing your course and then running around the parking lot until your watch reaches the desired length of your run. Running, although an exercise, should be fun and not a monotonous circle (if it was you’d be doing it on a track and wouldn’t need the GPS at all). When you’ve run your planned course, stop. The data collected on your watch will be just as valid for 7.8 miles as it would be for an even 8. If you run with a partner or a group there are a few more things that you should never do. First, don’t make disparaging remarks about any of your fellow runners. Don’t tell them, for instance, that the run that they claimed would be 15 miles was only 13.7. And don’t ever tell them to pick up the pace because you’ve been running at a 12 second faster clip all week. For the running purist this is tantamount to saying that what they are doing isn’t worth the effort. There is no faster way to get uninvited from a running group than to make it seem like your watch is more important than the group members. This being said, your GPS watch should still be a major part of your training. It does give you that objective data that can’t be gleaned from running with a group. Sure, you can get an idea of how well you are doing in comparison to other group members but you won’t have the necessary data to help you tweak your running on an individual level. Just remember to keep your data to yourself unless you are asked. Will I be able to read the screen while running? Are the buttons easy to use? Do I need and altimeter? Do I want a heart monitor? Will I have to purchase special software to read the data? 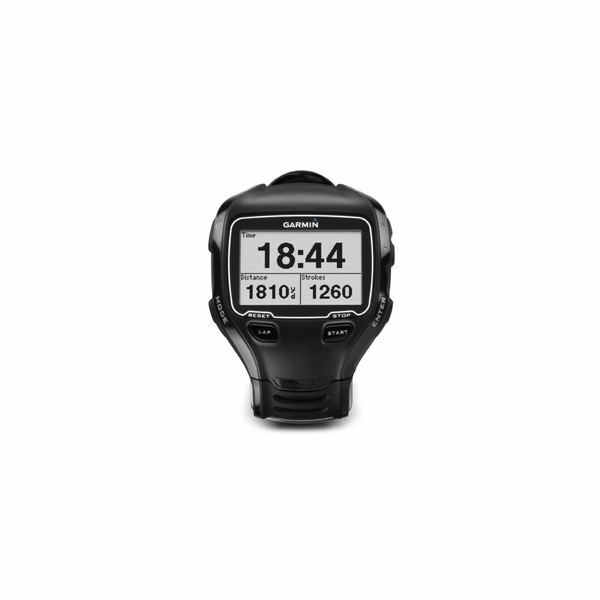 All of these options are available in several different configurations from Garmin. Garmin has become the industry standard and caters directly to the population running with GPS units. Check out one of these units to see which one is best for you. Image: Garmin 910XT by Garmin under Fair Use.